With just eleven days left on the Kickstarter for the Book Smugglers’ Level Up, it feels like a good time to talk about the Book Smugglers’ newest publishing project, The Novella Initiative. Over the last couple of years, The Book Smugglers has quickly become one of the most exciting new markets for short fiction in SFF, and the Novella Initiative is (for me, especially, as a great lover of novella-length work in general) a thrilling new step in their evolution as publishers. Editors Thea James and Ana Grilo have shown a commitment to showcasing work from diverse voices and fresh points of view, and it’s great to see them expanding their work. 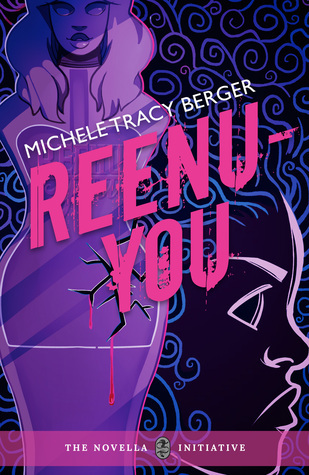 I reviewed their first novella, Dianna Gunn’s very nice YA fantasy romance, Keeper of the Dawn, earlier this year, and their second novella, Michele Tracy Berger’s excellent Reenu-You, merited an honorable mention in my Spring Reading Wrap-Up. 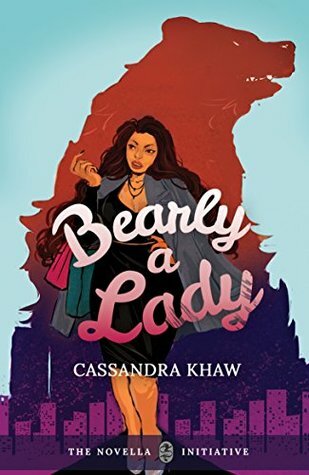 This summer brought Cassandra Khaw’s delightful urban fantasy, Bearly a Lady (in July), and A.E. Ash’s smart and fast-paced Special Duty Assignment (August), and there’s still one more to go, Tansy Rayner Roberts’ Girl Reporter, planned for December. About Keeper of the Dawn, I said that it “combines a smartly plotted adventure with a sweetly written romance in a richly imagined fantasy world,” though I did find it a little overstuffed with plot; it could easily have been a full-length novel, but it was nonetheless an enjoyable read. I didn’t write much about Reenu-You, partly because it dealt with race issues that I (as a white woman) didn’t feel equal to discussing or criticizing in any depth. However, it’s a story that still, months later, has stuck with me. Michele Tracy Berger’s take on corporate malfeasance and the importance solidarity and sisterhood is powerful and timely (and, frankly, likely to be more so in the years to come). 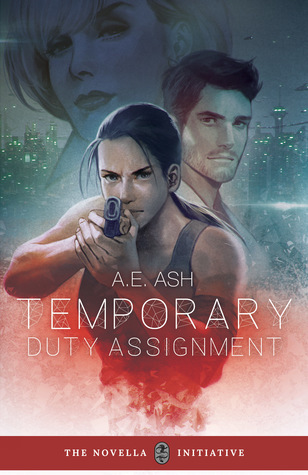 The most recent Book Smugglers novella is Temporary Duty Assignment by A.E. Ash. Temporary Duty Assignment walks an interesting middle ground between Reenu-You‘s story of people injured an evil corporation and Bearly a Lady‘s light-hearted romance. The sci-fi elements of the book are thoughtful, but it’s the characters that take center stage. Super soldier Sam and scientist Caleb are both delightful, and it’s easy to root for them, both separately and together in this second chance romance. I could have gone for a bit more romance, personally, though I liked that what romance there was, while not without problems, wasn’t especially fraught or complicated. It’s always clear and easy to understand why Sam and Caleb want to be together, and their problems have been ones of timing rather than incompatibility or mistreatment of each other. All in all, Temporary Duty Assignment is a sweet, clever sci-fi romance that’s well worth reading, but if you aren’t sure and want a small taste before diving into the novella, A.E. Ash also has a prequel story, “Nice,” available for free on the Book Smugglers website.